Although for the most part people facing struggles with drugs or alcohol tend to seek treatment in traditional addiction treatment centers, holistic alternatives are on the rise and are now considered by many as a positive approach to rehab programs. The basis of holistic addiction treatment lies in improving the body, spirit, and mind in order to combat addictive tendencies and behaviors through a more natural process than conventional medicine. Holistic dependence treatment is considered a solid alternative to mainstream treatment and its use of conventional medicine and psychotherapy and favors natural healing techniques for detoxing. Research published by Louisiana’s Department of Behavioral Health shows that many rehab patients are better equipped to face the underlying spiritual, mental and physical issues that formed to origins of addiction, with mindfulness practices such as yoga, art therapy, and meditation. 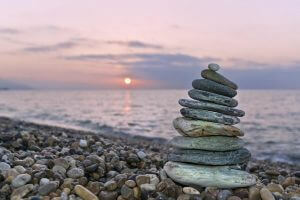 What Are the Levels of Holistic Addiction Treatment? As with conventional detox and recovery treatments, programs are created on a case-by-case basis. This is because addiction is different for everyone and the duration of dependency can vary from several years to a few months. In this regard, each patient’s case has to be viewed separately and where some may have addiction issues requiring inpatient treatment, others may be suitable for an outpatient program instead. Holistic therapies can also be used as part of a wider rehab program, with patients drawing benefits from certain aspects such as yoga and meditation in combination with conventional medication-assisted therapy. There are a considerable amount of holistic practices that offer different things to different people, making the choice of treatment center important. Some facilities may have structured programs and others holistic elements incorporated within a medicine-based method. Treatment outcomes are dependent on how long addiction therapy takes to become effective. It’s important to establish how long programs are and whether there’s an option to extend treatment should it be necessary. Is the center fully accredited? Each state has its own body that accredits and supervises rehab facilities, including those offering holistic treatments. All centers with the necessary accreditation can be confidently expected to offer a compliant standard of treatment, providing patients with recourse along with peace of mind. It’s crucial that patients leaving rehab centers are provided with adequate support for their new lives of sobriety. This can be through a local support group or through other channels of continued treatment which are readily accessible and completely reliable in providing assistance through the journey of recovery. The journey through addiction treatment is a very personal experience and everybody has a different response to different techniques used in rehab. Holistic therapy goes a long way to equip recovering addicts with the mindfulness skills they can incorporate into daily lives as a mechanism to maintain sobriety. Whether in replacement of or combined with traditional treatments, holistic practices make a significant contribution to the successful recovery from even the most severe addiction issues.